Pacemaker. Coloured frontal 3D computed tomography (CT) scan of the chest of a 65-year-old patient with a pacemaker (upper left) fitted to treat cardiac insufficiency (heart failure). The heart is at centre. 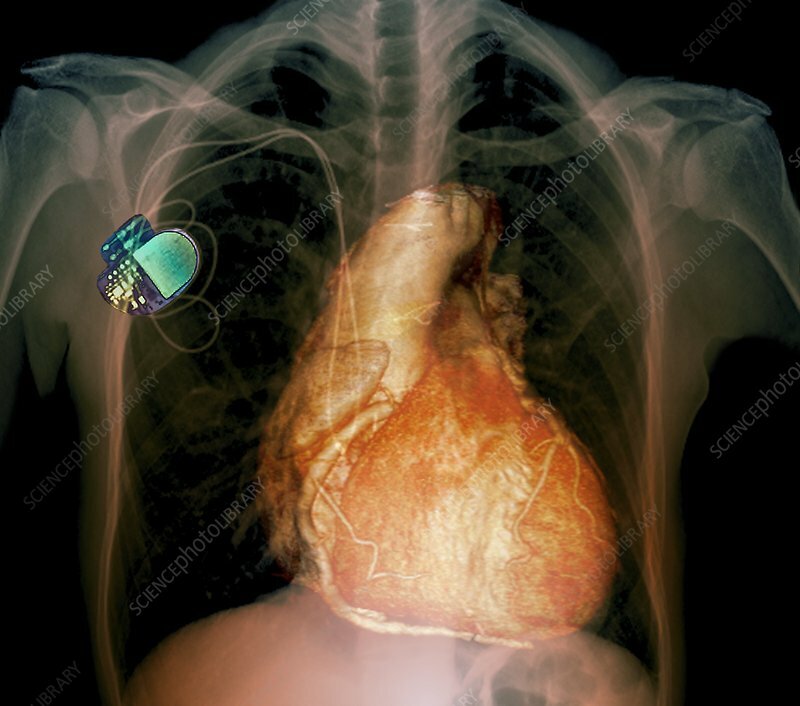 Pacemakers use stimulating electrodes (wires) to supply regular electrical impulses to the heart so that it beats normally. They may provide a regular impulse or discharge only when a heartbeat is missed. Heart failure is caused by any of a number of conditions, such as heart disease and high blood pressure, which impair the heart's ability to supply sufficient blood flow to meet the body's needs.